Saturday afternoon I went on a little junket to Clark County. 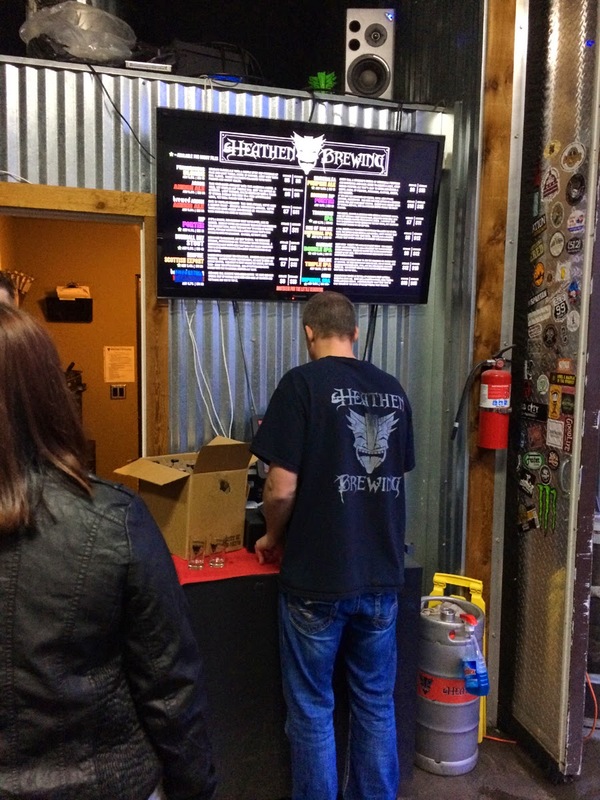 I figured I'd repeat last year's pre-Super Bowl routine with a trip to Heathen Brewing for some beer. It worked like a charm last year and things were looking pretty good until, well, you know. But never mind. You may recall this brewery lives in a residential garage in rural/suburban Vancouver. Sunny Parsons is the owner/founder and his home is next to the brewery. Real convenient. The brewing operation is more or less directed by Rodney Stryker, one of craft beer's up-and-coming cool kids. These guys became a borderline household name in the summer of 2013, when their Transgression IPA won the Battle of the Brews competition at the Oregon Brewers Festival. At the time, Heathen really wasn't set up to take the ball and run with it. Transgression was a special beer, made especially to make a splash. They didn't have the facilities to produce it on a grand scale. Well, the folks at Heathen have been up to no good since my visit a year ago. They've packed the remaining space in the garage with fermenters and there are two more outside. They've also added some additional employees, have 14 beers on tap and sell 22 oz bottles (at 50 percent off on Saturday!). They're fast-tracking their success now. I had wondered why I kept seeing Heathen bottles, including Transgression IPA, at area bottleshops. They've yet to make much of a splash in the grocery channel, but that's often a challenge for small breweries. The extra production capacity, which has consumed most of the old tasting room space, has put them in position to build on their success. Talking to Sunny about the road ahead, he said they are in the process of putting together a production brewery in another location. He will drop a fairly sizable chunk of change getting it off the ground. It sounds like they may go with a fairly basic setup initially and build it out as demand for their beer grows. That seems like a smart move. The real bombshell is the barrel program they've launched. Rodney showed me around a secret location where they've got 60+ barrels simmering. Some of these contain Epitaph, a barrel-aged Imperial Stout. But Rodney's pet project is the other side of that space, where he has some sour beers aging. I was stunned to find them so immersed in barrels. There's more. Once the production brewery is up and running, the current brewery will be retooled to produce strictly wild and sour beers. I didn't pry into how that might happen. 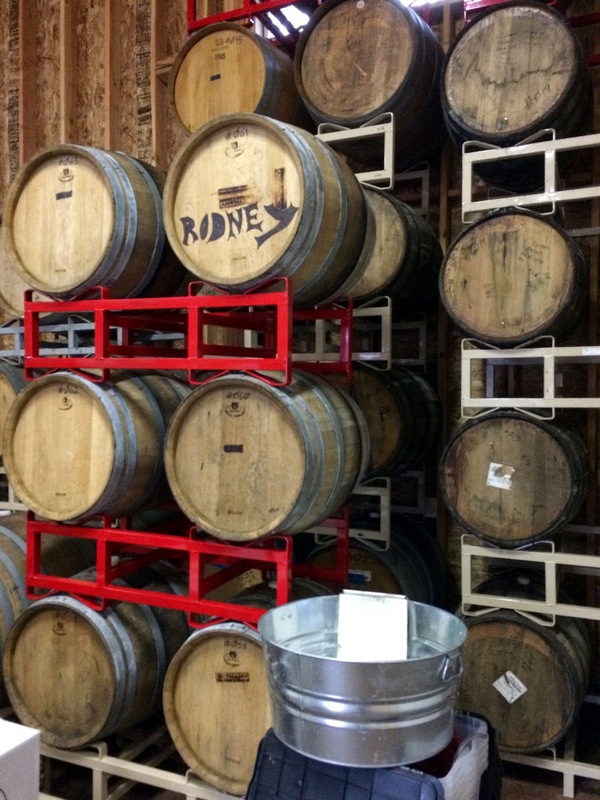 I suspect most of the fermenters will be moved, because you want to age these beers in wood. Their current mash tun looks like a deep coolship, so it could work as their inoculation vessel for the wild stuff. 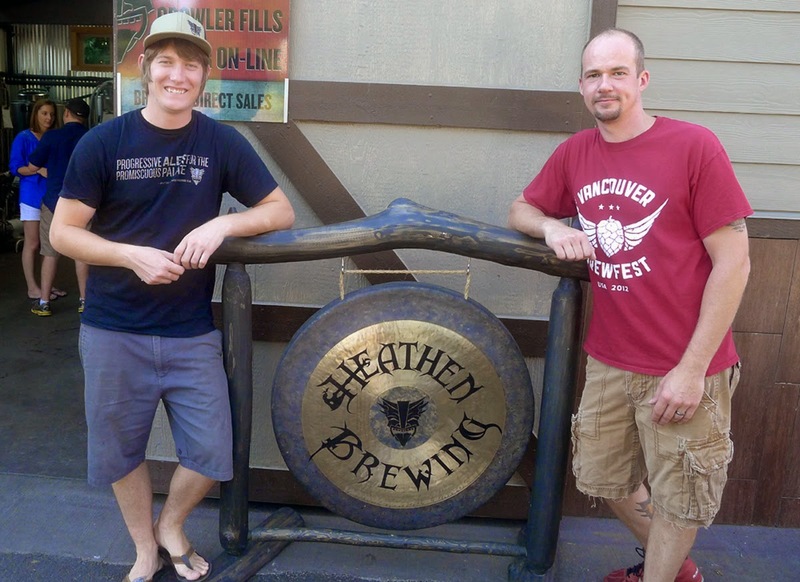 In case you're wondering, you can find some of Heathen's specialty bottles around town. Their beers are distributed by Point Blank in Portland and I've seen Epitaph and the bourbon barrel-aged barleywine, Reindeer Tears, here and there. I suspect the supply of these bottles will increase with time and eventually there will be some sour beers, too. It's hard to believe. Not that long ago, Vancouver was a laughing stock on the craft beer front. They had seen quite a few small breweries come and go. To see what they're doing at Heathen is pretty cool. The brash branding really fits with who they are. They're having fun working their asses off doing something they enjoy: making great "fussy" beer. Asked about a possible sale to Anheuser-Busch, Sunny shook his head. "That's not really on my mind or part of our plan." You have to ask.